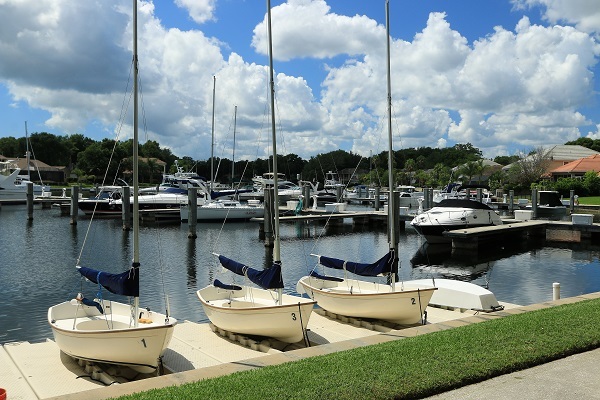 Imagine your vessel securely in a slip surrounded by other owners who enjoy the peace of mind of having 24/7 patrols that walk the finger docks at regular intervals. 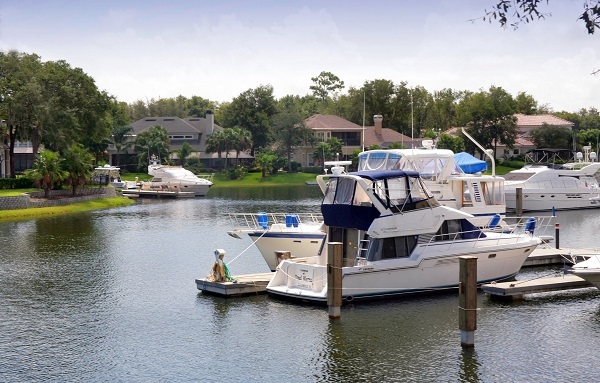 Maintenance is kept to a minimum because Queen’s Harbour is the only residential community on the east coast that has a deep freshwater basin that opens via a lock system to the Intracoastal Waterway. 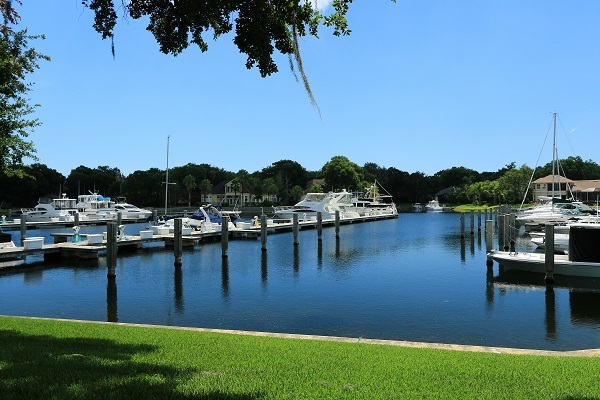 It is the most private and secure of all the marinas in Jacksonville – accessible only through a manned gatehouse and 24 hour video surveillance and roving vehicular and foot patrols. Recently, Queen’s Harbour has opened this amenity to the general public so that non-residents are able to enjoy this unique opportunity to keep their boat in a freshwater lagoon. 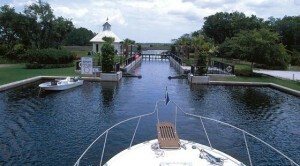 The freshwater marina is accessed through a 110 ft. lock operated by marina staff. The 120 ft. floating dock on the outside of the lock complete with fish cleaning station, shore power and water is available for fisherman wanting to be offshore before sunrise or those arriving late after lock operating hours. 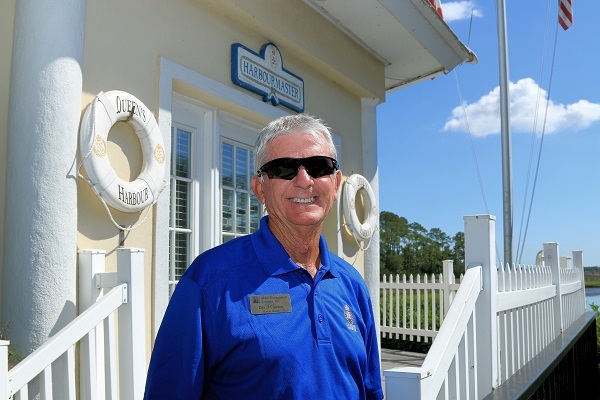 Harbourmaster David Cawton has been with Queen’s Harbour since the beginning in 1991. 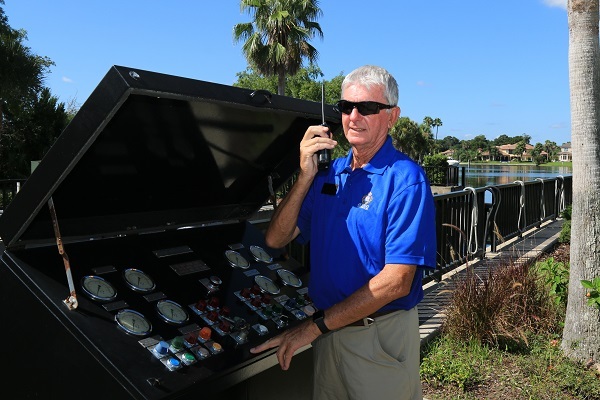 He and his friendly staff are extremely knowledgeable and make operating the lock an easy exercise, as well as providing weather information, ice for your ice chest, heavy weather assistance and advice. The harbour staff are here to make boating as safe and as pleasant as possible! 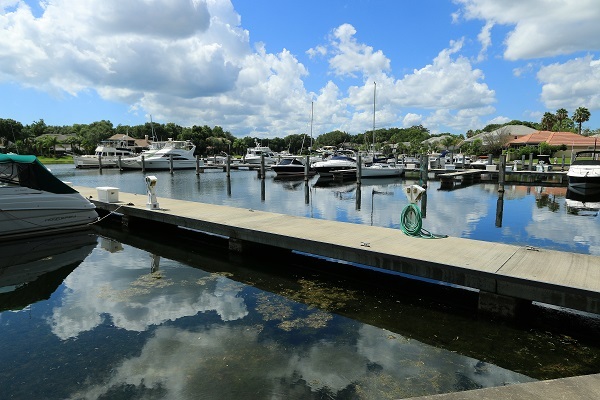 Queen’s Harbour Marina has a 60 slip marina with fixed concrete docks to accommodate boats from 20 ft. to 100 ft. with 30 and 50 amp power service metered and charged based upon your usage. Monthly rates are the most competitive in the Jacksonville area at $8.25 per foot, plus a nominal lock fee. It’s all about the location. 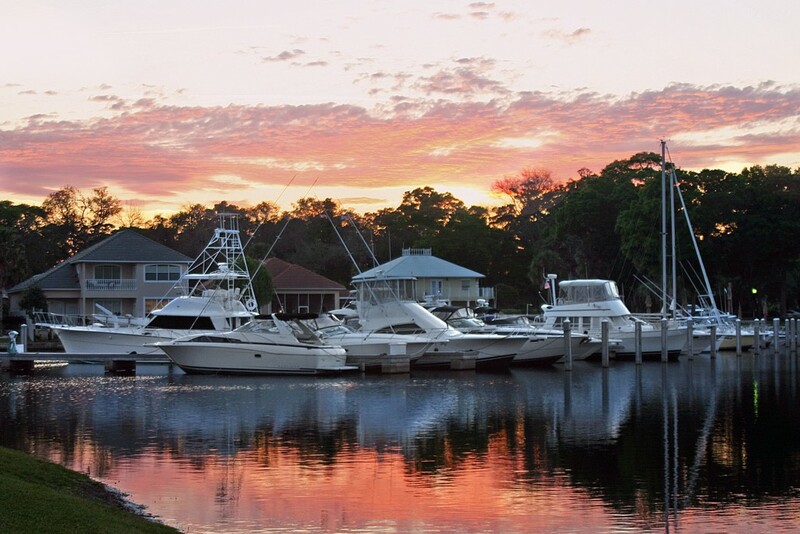 With your boat, you can truly enjoy Florida like few can. In beautiful and majestic Queen’s Harbour, you are just a short distance from many activities and destinations. Deep water is never a problem. 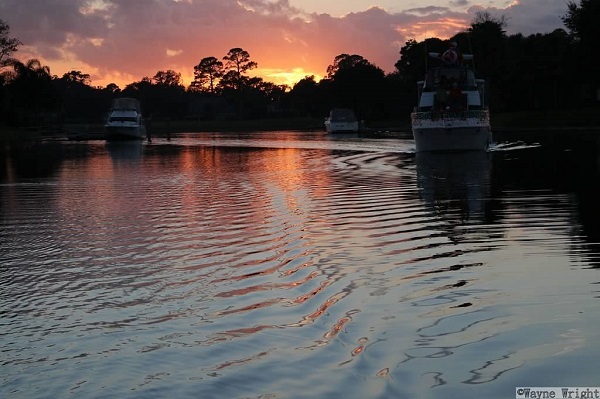 The average water level is 8 feet or more in our non-tidal Jacksonville harbor. 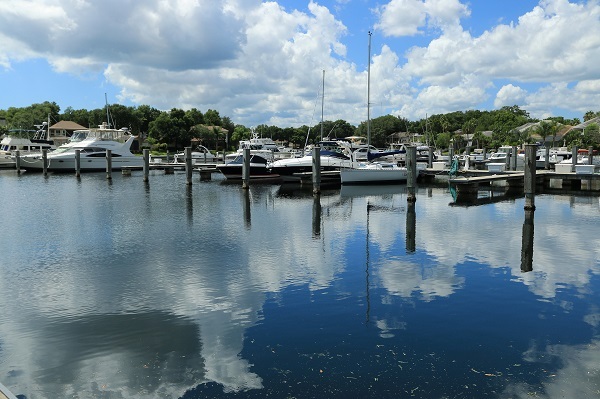 Temperate weather means boats are safe in the water year round and do not require winter storage. Unobstructed overhead access for fishing towers and tall masts. Slips that are available to residents and non-residents. 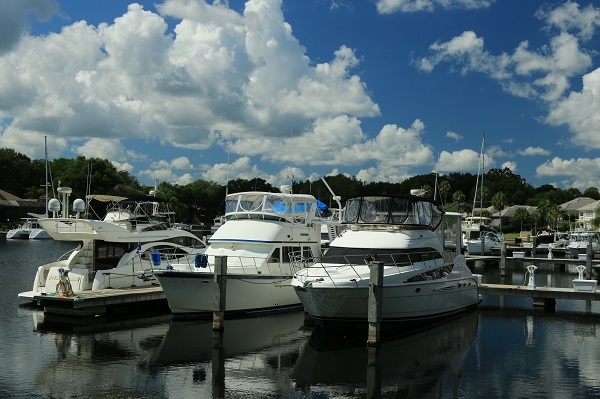 Call the harbormaster directly at 904-221-8865.  Effective January 1, 2019 the non-resident QHYCC slip rental rate will be $9.00/ft/mo. This increase will be partially offset by a decrease in the Lagoon System Assessment to $48/slip/mo. 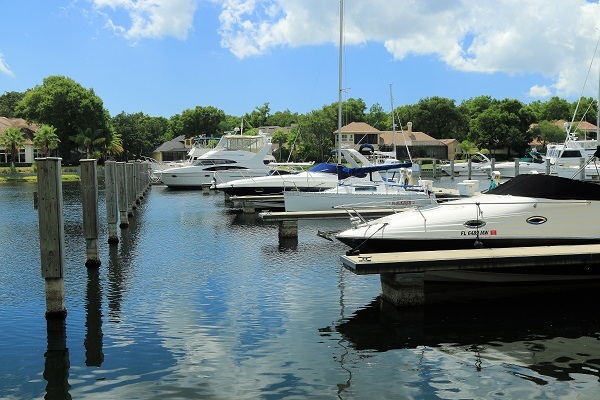 Even with this increase, QHYCC marina rates remain substantially below local commercial marina rates for monthly rentals while offering the unique benefits referenced above. Effective January 1, 2019 the resident QHYCC slip rental rate will be $8.15/ft/mo. This increase will be partially offset by a decrease in the Lagoon System Assessment to $48/slip/mo. 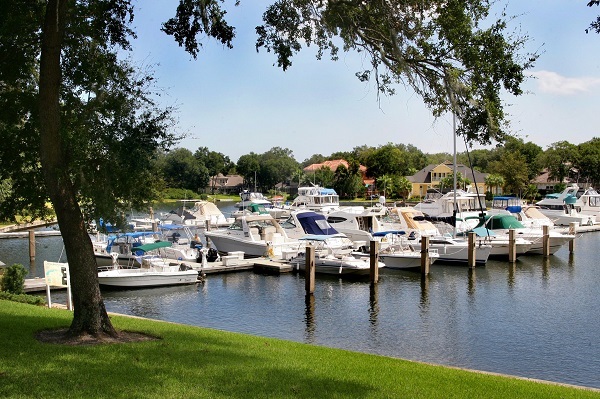 Even with this small increase, QHYCC marina rates remain substantially below local commercial marina rates for monthly rentals while offering the unique benefits referenced above.